500 of the most absurd and horrifying things that happen in nature! Crashing waves, stunning sunsets, sprawling landscapes. Nature is beautiful, right? Wrong. Nature Is the Worst. Need proof? The giant pitcher plant not only eats bugs, it's large enough to trap small mammals. Almost 90 percent of the koala population in Australia has chlamydia. A hailstorm in Bangladesh in 1986 killed 92 people with giant balls of ice weighing more than 2 pounds apiece. Crocodiles can climb trees. The poisonous Dracunculus vulgaris, or voodoo lily, smells like rotting flesh, looks like it's splattered in blood, and features a central black spike that can grow up to 4 feet tall. Cats often kill their first litter. A "haboob" is a biblically-huge wall of dust that can reduce visibility to zero, reach a height of 5,000 feet and stretch as far as 100 miles wide. Vampire bats are totally real, and yes, they love blood. 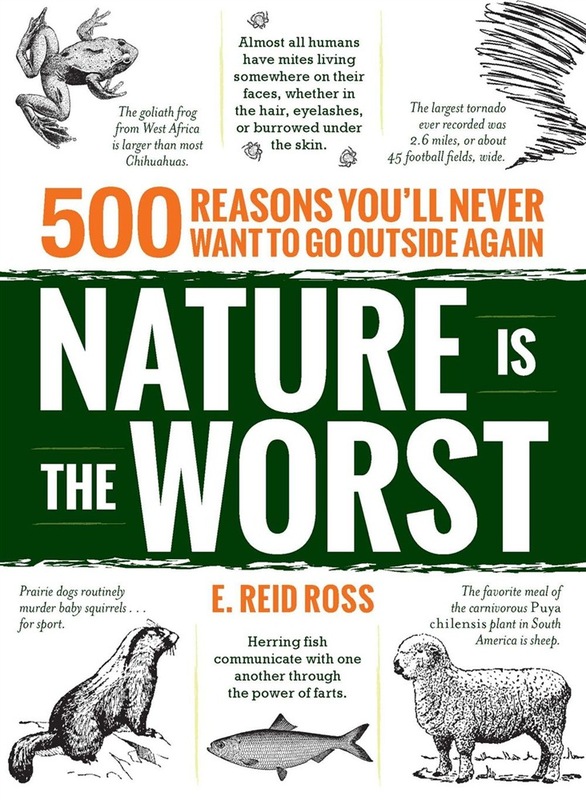 Nature Is the Worst contains hundreds of cringe-worthy, shocking facts you never knew about nature that prove the world is a terrifying--and sometimes very strange--place. 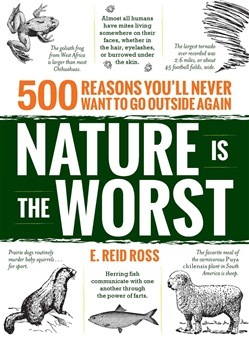 Acquista Nature is the Worst in Epub: dopo aver letto l’ebook Nature is the Worst di E. Reid Ross ti invitiamo a lasciarci una Recensione qui sotto: sarà utile agli utenti che non abbiano ancora letto questo libro e che vogliano avere delle opinioni altrui. L’opinione su di un libro è molto soggettiva e per questo leggere eventuali recensioni negative non ci dovrà frenare dall’acquisto, anzi dovrà spingerci ad acquistare il libro in fretta per poter dire la nostra ed eventualmente smentire quanto commentato da altri, contribuendo ad arricchire più possibile i commenti e dare sempre più spunti di confronto al pubblico online.